Perspective is power! It's time to see your possibilities and create actionable plans to achieve real results. 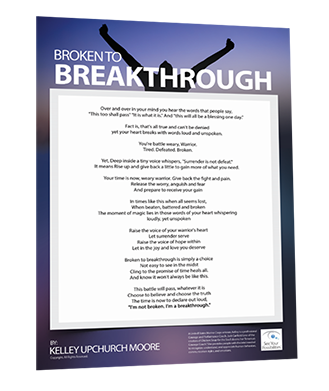 Receive a complimentary poster of Kelley Moore’s poem Broken to Breakthrough. This beautiful poem serves as a daily reminder that difficult times do not last. Choose to be a breakthrough! 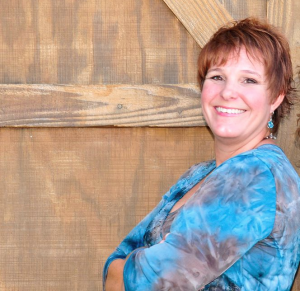 A United States Marine Corps veteran, Kelley is a professional Courage and Performance Coach. Jack Canfield (one of the creators of Chicken Soup for the Soul) deems her “America’s Courage Coach.” She provides people with the intel needed to recognize, understand, and appreciate human behaviors, communication styles, and emotions. Copyright © See Your Possibilities.